I bring this up because last month I was listening to a Joe Rogan podcast where they mentioned hormesis, the concept that small amounts of a toxin or stressor strengthen an organism. 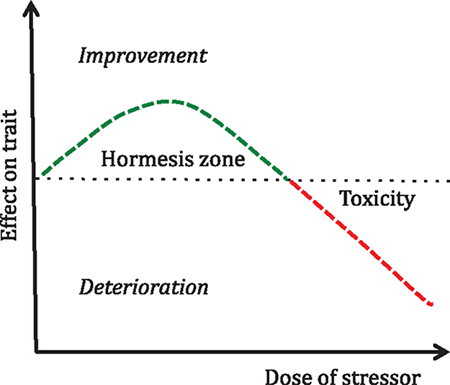 The guest noted hormesis was discovered in the 1950s when researchers noticed a little bit of herbicide paradoxically makes plants stronger. Actually, this phenomenon was found back in 1888 concerning yeast, though the basic idea is probably timeless, in that everyone understands exercise strengthens muscles while immobilizing a limb after an injury leads to atrophy, and too much stress causes problems to muscles and limbs. A glass of wine a day is a tonic, too much leads to cirrhosis. Even concerning poison, there's the term Mithridatism, which comes from King Mithridates (160 BC) self-administering small amounts of a toxin to build up his immunity. 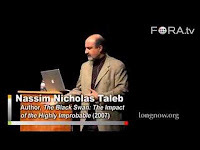 I tweeted that Taleb thinks he invented hormesis, whereupon Taleb’s sock-puppet quickly noted that antifragility is not hormesis, and Antifragile explicitly mentions hormesis and its 1888 discovery, as well as Mithridatism. A snippet of his Twitter rebuttal is here. Tweets are not the place for snarky subtlety. My point was that far as antifragility works, it's hormesis, in spite of Taleb's qualification that "hormesis is a metaphor" for antifragility. This got me wondering how such a contradiction happened. 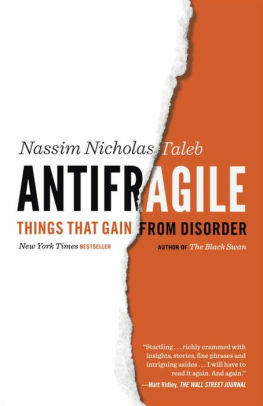 Taleb states his neologism antifragility is "beyond resilience or robustness." He defines antifragility more precisely as "a convex response to a stressor or source of harm, leading to a positive sensitivity to increase in volatility." 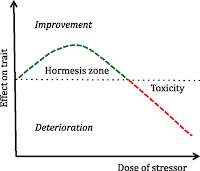 Thus hormesis is not an example of antifragility, because, in the parlance of finance, hormesis is like increasing the value of a portfolio by reducing one’s beta, while antifragility is increasing the value of a portfolio by increasing its gamma. Gamma is a measure of convexity, the signature feature of a put or call option, and in uncertain environments, a higher gamma leads to higher value. The common takeaway of Antifragile, however, is simple resilience. For example, in Jonathan Haidt's book the Coddling of the American Mind he credits Taleb’s concept of antifragility for arguing that protecting students from ideas they find offensive leads to them becoming more fragile, anxious, and easily discouraged. Actively confronting ideas we don't like makes us tougher and smarter, in that as JS Mill wrote, ‘he who knows only his own side of the case knows little of that.’ Haidt's book mentions unstructured play for children, the immune system, and exposure to peanuts as examples of Taleb's concept of antifragility. Wikipedia’s entry on antifragile gives as its primary example that of bone density being strengthened by exposure to stress. These are all examples of hormesis. If you own an option you have positive convexity and benefit from higher volatility; you are long volatility (aka long vega). It has long been known that financial options, especially out-of-the-money put and call options, have poor average returns. A good example is provided by VXX ETF (reissued recently as the VXXB), which is long vega and loses money with about the same Sharpe ratio as the SP500 index. Being long vega is like shorting the market, good in bad times, but over the long run a bad investment. Taleb is aware of this and states that good antifragile things are not financial options because they "are sold by someone," but rather real options, which he thinks are free: "we don't pay for options given to us by nature and technical innovation." 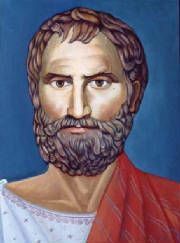 His prominent example here is Thales of Miletus. Aristotle gave us the story that Thales secured the rights to wine presses at a relatively low rate, which is an option: he had the right, not the obligation to use the wine presses. When the harvest proved to be bountiful, and so demand for the presses was high, Thales charged a high price for their use and reaped a considerable profit. Taleb states the key to Thales's fortune was his awareness of his 'lack of knowledge,' in that as he owned an option he enabled himself to benefit from uncertainty. I do not have data on wine presses circa 600 BC, but currently, such options are priced. For example, in futures markets, there is a thing called the basis, the difference between the future and cash price of a good reflecting the yield on the asset vs. the opportunity cost of money (ie, the interest rate). One of the components of that basis is the convenience yield, in that if there is a shortage, having the actual commodity will have a great value. For goods subject to shortages (eg, wine presses), this increases the cash price over the future price because having the good on hand can be very valuable in a crisis. William Easterly has argued that Western countries dumping grain on African countries during shortages deprives farmers of the essential revenue for many farmers, the profit that pays for merely breaking even during normal times, discouraging endogenous markets. Spikes in demand are a large part of any asset owner's income. Simple awareness of a 'lack of knowledge' about future demand is not helpful, because it presumes the seller assumes the convenience yield or option value is zero, and that's unlikely. Taleb gives other examples, for instance: avoiding doctors, having different alternatives on vacation or for dinner, the ability to switch jobs, a rent-controlled apartment, or being married to an accountant but an occasional fling with a rock star. To the extent these options are desirable, they are not underpriced, and certainly not free. People realize this, which is why they are rarely mentioned outside the book. The bottom line is that things with convexity are too costly in general because people love lottery tickets; convexity is not the essence of any antifragile example because it is generally too costly. Another misleading application is in biology or economics, where populations or markets that have had to withstand more competition and external variability dominate those with benign environments. A bacteria population in the lab loses its ability to withstand stressors, an industry protected from new entrants loses its ability to compete when technology changes the game, or an industry protected against failure becomes bloated and less robust. Systems that allow or even encourage failure thrive relative to those that protect its members from failure. In economics, the basic idea of exiting losing businesses is perhaps the most crucial advantage of the free market over socialism. Failure strengthens the herd, whether animals or firms. 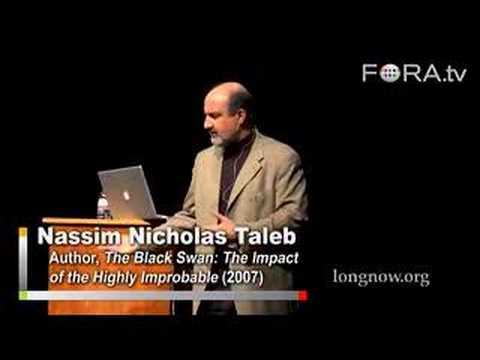 Taleb states that his notion of antifragility is behind the following: "evolution, culture, ideas, revolutions, political systems, technological innovation, cultural and economic success, corporate survival, good recipes, the rise of cities, cultures, legal systems, equatorial forests, bacterial resistance." Success within these domains comes from looking at the competitive success of groups benefiting from hormesis vs. those insulated from it. Competition leads to the resiliency and efficiency needed to survive. Back to his definition of antifragile, it is not that the prospering agents are convex to stress, instead that as survivors their progeny takes over the extinct's lebensraum; the dynamic effect of robustness in a system based on survival of the fittest looks like convexity. Indeed, Taleb notes the property applies to the group, not the individuals: "the surviving cohort is stronger than the initial one—but not quite the individuals since the weaker ones died." So here, like with hormesis, he notes it is a metaphor, but really not. He is quite aware that such systems are not direct examples of antifragility because the agents that generate convexity at the higher level are merely robust, via hormesis. A robust business has to innovate because every business model changes over time. Jeff Bezos notes success takes someone with a stubborn vision yet flexible on details, because without a strong vision one's strategy overreacts to current failure or success, while without flexibility one cannot adapt when things do not work precisely as planned, as they always do. Note here we see a classic example of 'moderation in all things,' where the optimum lies between an excess and deficit. In contrast, Taleb describes a caricature of vision via his "teleological fallacy" which is the "illusion that you know exactly where you are going." One could go on all day about the inadequacies of strawmen, as Taleb does. An industry protected from failure or change via union work rules or bailouts removes the micro-instability needed at all levels of a company to develop innovation, robustness, and a healthy familiarity with failure. While some rules and regulations are good, most are merely a pretext for barriers to entry protecting current workers and firms. This is just about allowing hormesis to do its thing. Becoming excellent first requires a lot of domain-specific hard work, with a focus that enlarges some things while excluding others. Jordan Peterson argues that flow comes from operating at the edge of our competence, with enough mastery to generate satisfaction yet enough novelty to be challenging. To an outsider, such explorations can seem like random tinkering, but for an expert, it is a variation on their unusual intuition. Suggesting that the general strategy of accumulating convex exposures is the key to success is a profound error, as in the difference between the benefit of anger, and anger directed at the right person at the right time and in the right way. An essential attribute of someone who innovates is their ability to embrace failure. Adversity is a great teacher, why mother giraffes knock their newborns down just after first learning how to stand; they have to learn quickly on the African grasslands. Embracing failure is easy to say but hard to do, which Taleb acknowledges. Actually, he doesn't explicitly acknowledge this, but as he never mentions why he worked for several banks while he was a trader (blow up?) or the fact that every close friend he mentions in Antifragile is highly successful, suggests he sees failure as a characteristic of unremarkable losers. Failure will always be costly, and due to moral hazard, no one will sell you a put option on your failures. In addition to acclimating ourselves to failure, just as useful are the Christian virtues of faith, hope, and love. If you have faith in what you hope for regardless of your economic success, and love someone who loves you for who you are, failures under the sun are not so terrible. This allows you to explore more virgin territory so that when the unexpected happens, you might be in the right place at the right time. There are two ways to generate an option payoff. One is to buy an option; another is via dynamic replication, which involves doubling down a position as it becomes more in-the-money. The outsized success of winners over losers in dynamic systems generates large convexities, but to be a winner, the keys are not buying options, but rather, via resilience acquired through hormesis, survive long enough to achieve success indirectly via a combination of vision, excellence, and flexibility (obliquity). To describe the essence of this as creating option payoffs focuses people on explicit optionality, as opposed to the optionality that comes via hormesis. Resilience plus what is often called common sense, generates outsized winners in dynamic zero-sum competition. This is why everyone mentions examples of hormesis, waves their hands, and hopes no one notices the bait-and-switch. 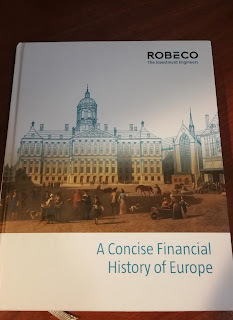 If you like finance and history, you'll love Robeco's "A Concise Financial History of Europe," written by Jan Sytze Mosselaar. A lot of financial firms provide books to clients, and I bet if you visit Robeco in Rotterdam they'll give you one for your plane ride home, which is more than enough time to read it (100 pages, lots of pictures). It starts with Fibonacci introducing the Arabic number system in 1202, but interestingly the Florentine bankers prevented anything but Roman numerals as late as 1299, and the Medici's didn't adopt Arabic numerals until 1500. The Florentine bankers Bardi, Peruzzi, and Acciaiuoli, who prospered from 1300 to 1340, left a lot of documentation about their business. The Medicis then dominated from 1397–1494, followed by the Fuggers, and then the Rothschilds from 1800-1900. Interestingly, the Rothschild patriarch created the perfect family business, putting his five sons in key cities throughout Europe, allowing them to arbitrage the different exchange rates common to markets that are not fully integrated. Last year Bitcoin often traded at prices 5% higher in Korea, but it is difficult to move money in and out of Korea due to explicit laws. The only way to arb this requires a non-formal relationship with someone in Korea, like a brother. You then buy in the US while your brother sells there, settling when you meet for a holiday. That is, only an informal but trusted partnership can arbitrage geographic price disparities caused by legal restrictions because there are no explicit asset and liabilities, just an implicit agreement within a family. Faith in a select group of public servants to maximize social welfare is no better founded than the belief in the supernatural gifts of kings or noblemen. Just as misguided is the idea that good things, as decided by a majority, should be mandated. It should be remembered that our current prosperity and freedom have resulted from unwanted gradual changes in mores related to property rights, which when firmly established sparked the Industrial Revolution. Nobody planned that. Property rights were not created to win wars or eliminate poverty, though they did that as well as many other good things. In a surprise to every intellectual, a modern economy is based on a system that encourages self-interested agents to do what they think is best, and produces results we do not foresee let alone intend. It is the ultimate decentralized system. In contrast, a system based on state regulations and monopolies (eg, public schools, utilities) is centralized. The push for more centralization dominates the state, academics, and media because these are the people who are good at articulating high-minded policies and are pissed-off that they have to sell them, as in most cases consumers don't want their solutions. Looking at blockchain technology, often a developer is asked: how does this help the poor? 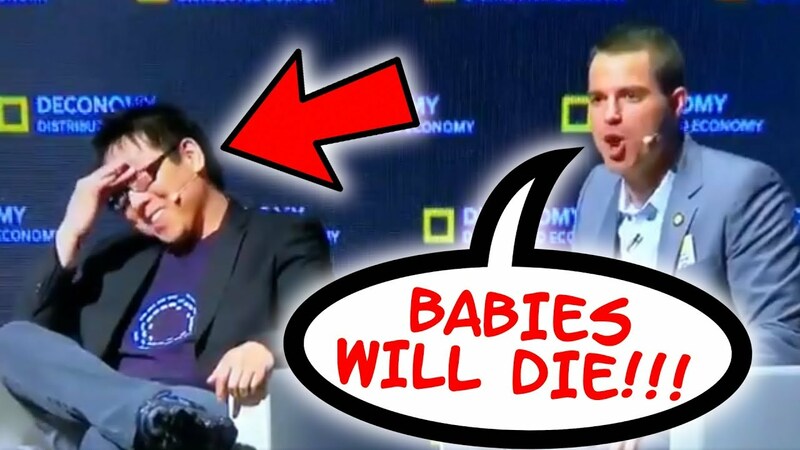 Indeed, some entrepreneurs emphasize how their new coin helps the poor, as when huckster Roger Ver emphasized how Bitcoin Cash saves babies. Everyone knows that if you help the most vulnerable you help society while helping the rich is suspect in that many see the rich as merely taking from the poor (many see the economy as a zero-sum game, so helping the poor increases total utility, helping the rich does not). The implication is that these technological innovations have to obviously help the most vulnerable in society or they are morally suspect, and laws should discourage if not ban wasteful activity if it siphons resources away from what is most important. That violates property rights. In the Odyssey Odysseus is offended at being asked if he is a merchant, replying: 'that is a black remark!' In contrast, when asked if he was a pirate, he merely said 'no,' as if that would have been no big deal. Indeed, pirates have courage, and courage is a universal virtue, a key to a flourishing society, while traders have no obvious virtue and merely move things around. Similarly, for several millennia interest on loans was seen as parasitic, as money does not do anything, so someone making money on money seems anti-social. We now understand that banking and trade do help society, and at their essence, letting people lend and trade arises endogenously when we simply letting individuals decide how to use their property, the essence of true ownership. Individuals find it in their mutual benefit to lend and borrow, to sell and buy from traders. The essence of markets—price, profits, entry and exit, free choice, competition—arise naturally as a consequence of private property. There are always markets, such as those in WW2 POW camps, because anything that can be owned, such as cigarettes and personal items, can be exchanged and make both people better off. While thoughtful regulations are useful and some vital, it's like the police: you only need a little. Rationalists like Sam Harris think we can create a world where truths are discovered bottom up, from axioms to theorems confirmed by empirical data. 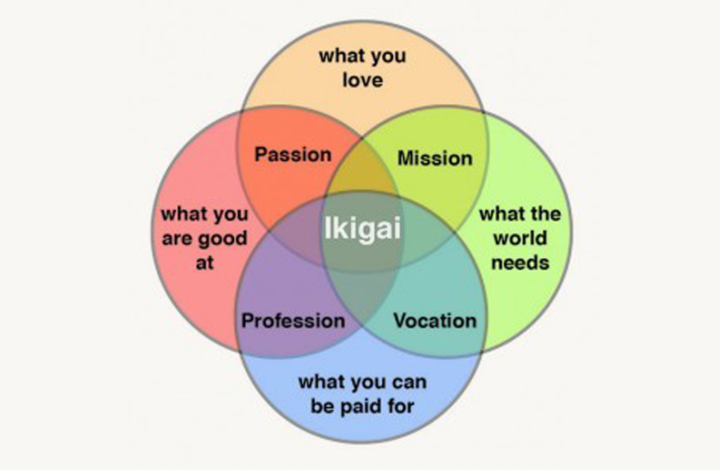 This is very much like the vision outlined in Paul Samuelson's Foundations of Economic Analysis (1947), where he advocated mathematical economic models built on maximizing agents and equilibrium, much like physics. Alas, in economics this approach is useful only in parochial applications, micro, while most macro results can be obtained via the right assumptions, and researchers rarely have qualms with using the assumptions that generate their preferred policies. We can prove what we want, so the key is knowing what result to want, but that does not come from rational inquiry but rather before: we ask our right-brain what makes us feel good about ourselves. In the 18th century, proto-economists had a theory called mercantilism that emphasized the ability of trade as a means to acquire gold and silver, which was synonymous with national prosperity. There was also physiocracy that saw the wealth of nations derived solely from the value of land agriculture. In those worldviews, many businesses would seem at best orthogonal to social welfare, the way many today view advertising or bitcoin. Yet, that was the past, and via a combination of naivete and pride, progressives think we have it all figured out now [funny how pride was emphasize by the Ancient Greeks and the Bible as perhaps our greatest sin, now rarely]. The phrase `production for use, not for profit', has been noted by such men as Aristotle, Bertrand Russell, and Albert Einstein, and underlies the ever-present notion that economic decisions would be better served by someone maximizing social welfare instead of their own self-interest. It all seems so simple and minor, just requiring individuals make sure they use their property in a way that advances society’s interest. The problem with this is not what, but who. Who decides what is in society's best interest? What are the incentives for those in charge of top-down direction? 1. No one maximizes social welfare. It would be pathological to treat strangers as well as your children or friends, and fortunately, no one does it. Those who say they do are like those who say they have no biases, or base all their decisions on the facts: they are naïve about themselves or scheming hypocrites. If one thinks a social welfare maximizer who at least has to think about 'society' is better than a selfish individual, remember that unlike private selfish agents, these less selfish agents have a lot more power, the force of the state. Eventually, their cause becomes less about the pretext and more about simply protecting vested interests. The iron law of oligarchy claims that rule by an elite is inevitable within any democratic organization. All organizations eventually come to be run by a leadership class, who often function as paid administrators, executives, spokespersons or political strategists for the organization. Far from being public servants, this leadership class will inevitably grow to dominate the organization's power structures, and they tend to favor their friends and family. By controlling who has access to information, those in power centralize their power with little accountability, due to the apathy, indifference and non-participation most rank-and-file members have in relation to their organization's decision-making processes. The official goal of representative democracy of eliminating elite rule is impossible; representative democracy is a façade legitimizing the rule of a particular elite, the Deep State, the inevitable oligarchy. In any bureaucratic organization there will be two kinds of people: those who work to further the actual goals of the organization, and those who work for the organization itself. 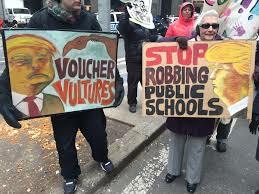 Examples in education would be teachers who work and sacrifice to teach children, vs. union representatives who work to protect any teacher including the most incompetent. Eventually the second type of person will always gain control of the organization and will always write the rules under which the organization functions. 2. Social welfare is hard to measure, so any group officially charged with improving it will never have to prove itself. In the 1950s China thought the key to a good society was having a strong steel production, so they melted down everyone’s silverware and constructed inefficient steel plants everywhere. In Cambodia Pol Pot took all the useless people, such as intellectuals and financiers, and either just shot them or let them work themselves to death in the countryside. In the Soviet Union and Zimbabwe, the wealthy farmers were seen as parasites and expropriated, leading to famine. At no point in these disastrous plans, ones that violated individual liberty and wrecked the economy, did those in charge notice the disaster and stop the way a money-losing business stops doing what it’s doing when it runs out of cash. Truth is not discovered via a single mind, but rather, via the competition of ideas. Newton, Nietzsche, Tesla, were geniuses, but like everyone else they had lots of bad ideas too. Your average politician has many fewer good ideas. Unfortunately, when the state creates a new policy or agency, it doesn't compete to survive, it just grows like a cancer. Sometimes they redefine their mandate when the initial one becomes less popular (eg, NASA is focused now on climate change and blockchain technology). Other times they redefine success metrics so that they always appear to work (Obamacare was about improving health, but when mortality rates rose supporters simply pointed to higher insurance coverage). The Department of Education's mandate is so vague it is difficult to measure their output, and with defense agencies like the NSA or CIA their productivity is necessarily secret; they do very little outside the occasional grandstanding about some new report, and people are happy if they don't bother them. Lastly, agencies like the TSA who handle airport security are necessary and have a monopoly, so their incentive to improve service is completely absent. The technique that most explains the efficiency of the private over public sector is that in the private sector businesses eventually stop doing things that lose money. Either the company owners get tired of losing money, the bank forecloses, or they run out of whatever cash they have. A bad regulation (eg, 10% of all gas in my state must be ethanol) just continues because it costs the lawmakers nothing; a pointless agency can point to anecdotes because there literally is no bottom line. Most government 'production' is measured by how much is spent on them, as if spending money on health care is equivalent to generating that amount of value, and debates center on whether the next budget will increase by 2 or 4% as opposed to junking the existing enterprise and starting over from scratch. Only a decentralized system of individuals permits failure, and without failure, capital and labor stagnates. 3. Information is decentralized, incentives must be too. Economies use information that no single agent can know, in that there are multiple supply chains interacting at every node. 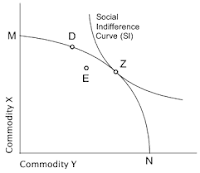 No individual can know all the cost and demand curves for various products and specific times and places, and this lack of knowledge matters when production is centrally planned. This is Hayek’s point about the use of knowledge in society, in that only a market economy both incents people with parochial, important knowledge to transmit this information, say by substituting a cheaper input for a traditional one, and has a mechanism to transmit this information via a change in prices. A top-down decision maker has no access to this data. If prices are not produced via equilibrating supply and demand at various stages of production then the prices are arbitrary, leading to suboptimal decisions in the rare case that a social planner actually tries to maximize social welfare. And lots of queueing. 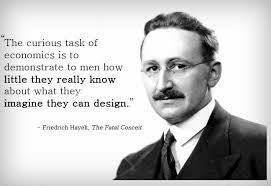 I'd write more about this, but I can't improve on Hayek's piece, and it's a non-technical and short read. Those interested in more mathematical expositions should look at the First and Second Welfare theorems, as well as Sandy Grossman's work in the 1970's on information in prices (book here). 4. Concentrated benefits and diffuse costs favors business over consumers. Industry representatives have excessive clout in decisions about how their structure best helps social welfare. This is why regulators, charged with choosing what is best for the country tend to become captured by industry, lobbying for the industry more than consumers. Sugar producers employ only 60k people, and the $2B it costs the US in sugar price supports creates a huge incentive for the producers to maintain their little fiefdom, and little incentive for the 330 million consumers to fight it. 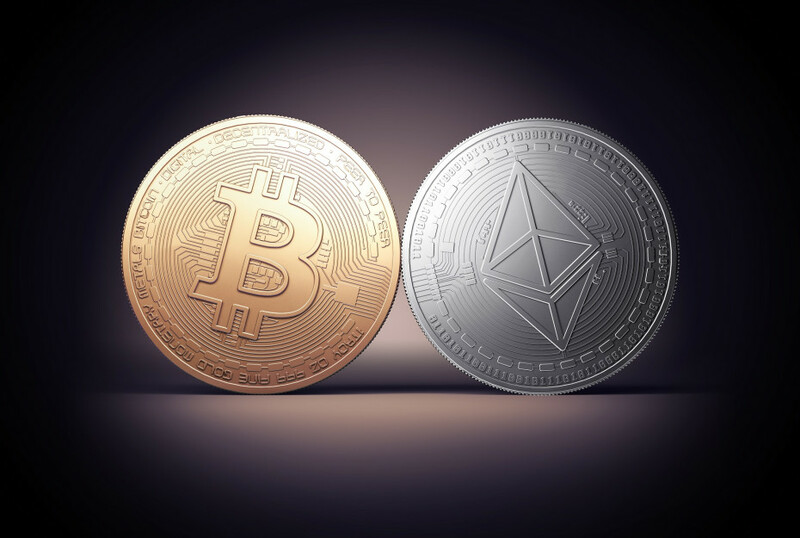 The net result is that industry regulation is mainly a cartelization device, as it was from its very beginning in the US with industry supporting Teddy Roosevelt's anti-trust initiatives. For example, Roosevelt's first trust-busting regulation focused on banning railroad rebates, as if one of the greatest specters facing consumers was predatory pricing, which supposedly caused smaller firms to go bankrupt, and then allowed the remaining firm to raise prices. Banning price discounts to prevent monopoly power is something so stupid only an intellectual can believe it, as falling real prices is the essence of productivity increases, and prices do not fall in concert, but piecemeal, by the more efficient firms. By outlawing price discounts, the more efficient firms and processes will not grow to take over the way they would in a free market. In this way insiders can build a mote around their inefficient but profitable businesses and share their largess with government officials via the revolving door among their executive suites, and mutually supporting each other in less obvious ways (eg, when banks supported non-profits that supported politicians that supported bank regulations that supported the non-profits that made it more costly to enter the industry). An inefficient business can be annoying, but is not oppressive, as usually one has many alternatives. Progressives realize their biggest problem is that adverse selection, in that a policy designed to help some group only works if most of the current population acts as if the policy were not there. Yet the non-targeted group invariably subsidizes the targeted beneficiaries, and so they opt out in various ways. To prevent this, the policy must be universal, and so the benefits of competition, of watching certain companies or industries thrive (industries also compete with other industries, offering different means to an end), is absent. Thus top-down solutions must prevent individuals from exercising their liberty. In some cases, choice is simply made costly, as when parents move to get their students out of bad school districts, and the predictable response of school administrators is rarely to actually reform its methods, but rather, to vilify 'school choice' as a pernicious mechanism that hurts everyone. Obamacare makes those who do not buy insurance pay a fee. The licensing and registration also explicitly forbids alternatives: it is illegal to get legal counsel from someone who is not a licensed lawyer, health care from an unlicensed physician, or a manicure from an unlicensed cosmetologist. Coercion implies you are not making someone better off according to the person you are coercing. While there are exceptional cases where coercion is warranted—children, criminals, psychopaths—in general it should be obvious that if coercion is necessary for your policy, it is a symptom your policy is not making individuals better off. 6. Creative destruction is seen as destruction. Productivity has more costs than benefits from a utilitarian point of view if one models it as we see it occur. Most economic models of growth simply put in a term for productivity growth that makes it look both passive and benign, as the canonical models are the reification of an economy into a representative firm's optimal growth problem. Everyone is in favor of such productivity because there are no losers, just one happy representative agent. In contrast, if Joe invented a hair-cutting machine that enabled him to cut the hair of 5 men at a time, his invention would deprive 4 of his colleagues a job. If then Joe cuts his price from the market rate of $15 to $12, the cost to society for cutting hair went from $75 to $60, but Joe now rakes in $60 while his 4 colleagues lost $15 each. As most people's budget for haircuts is immaterial and given utility increases at a decreasing rate, that lowers social welfare, QED. Further, a muck-raking journalist could note this would increase the load on social services, and family disruption, etc. Thus one could prove Joe's hair-cutting machine is not merely inefficient, but a vampire squid monstrosity. In practice, through a process not fully understood (ie, modeled mathematically), the 4 unemployed barbers will probably find employment doing something else that makes society better off. Consider that most of us were farmers 200 years ago while now it's only 3%. Many of ancestors who left the farm did not do so out of their own choosing, but rather, found themselves squeezed out by the newfangled machines that made them redundant. We are better off, but only with hindsight. If we demanded every job displaced by a new technology had to have a better job available for everyone displaced, we simply would have very little new technology. The best we can do is to minimize state power is by minimizing the size and scope of the state, which means emphasizing restrictions on the state, not individuals. That does not mean individuals have no limitations, just that their rights imply they have the default presumption of being a true owner, with an ability to do what they want, not what some government agency wants. Individual rights are like the presumption of innocence in a jury trial, they shift the burden of proof to advantage one side. It is not mere folly, but dangerous, to think there can ever be a group, let alone a person, who can maximize social welfare better than what happens when you leave people alone. 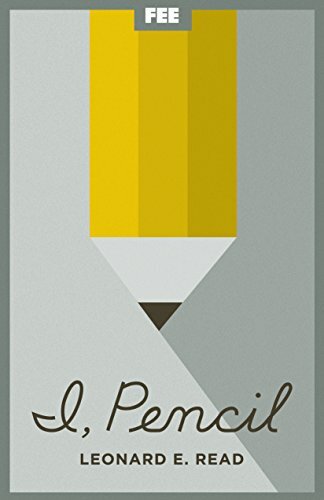 No one person can create most of the products we use, from a simple pencil to a smartphone. No one fully understands their current role in the production process because it is constantly changing as new technologies arise. If there was a group of earnest bureaucrats charged with maintaining social welfare who had to approve of all new technology or disposition of existing capital, there would be several billion fewer of us, and most would be farmers. A better solution simply assumes everyone is maximizing their self-interest and to encourage competition, the greatest social welfare improvement policy ever created. If we make sure that people pay for what they use—including the costs of externalities like pollution—profits imply that they are creating more value than they destroy, and they and others should be encouraged to do it more; if they lose money, they are destroying value, and should be discouraged. Profits allocate resources to their most efficient use (like an invisible hand or something!). Competition requires low barriers to entry, which is much more beneficial than licensing requirements and ADV forms. For example, the mission of SEC is 'to protect investors, maintain fair, orderly, and efficient markets, and facilitate capital formation'. Yet spreads came down only in spite of them, via a new technology and businesses (high frequency traders) that arose outside of the self-satisfied government-sanction monopolies (ie, NYSE/AMEX/Nasdaq). Ownership implies control over one’s property, and so the phrase that ownership is nine-tenths of the law means that one defers to the current owner. This prevents endless litigation, as invariably at sometime someone in the past stole the land that one is using from someone else, if not a European from a Native American, then one Native American tribe from another. Further, giving the current owner the ability to transmute or sell their current property incents them to maintain and improve it or sell it to someone who can. Thus, when Pennsylvania was founded back in 1681, it was given to the William Penn to settle a debt owed by Charles II to Penn’s father. Penn promptly sold plots to American settlers who then developed the land productively. It was arbitrary that Penn was given initial ownership, but as Indians had no records or even a conception of private property, there was no way to specify a rightful owner before. Yet Penn's initial ownership was irrelevant, the key merely that someone had to own it before it could be developed. It is a good example of the Coase Theorem. Property, whether land, capital, or gold, is used best when it is owned by individuals, which means they do not have to ask the state if what they are doing improves social welfare, and they are not obliged to answer the question 'how will this product help the world?' Airbnb, Uber, or bitcoin would not exist if they asked permission first. Even computers, which most white collar workers consider indispensable, were for a long time a curiosity, as Nobelist Robert Solow—whose specialty was economic growth—famously remarked, 'You can see the computer age everywhere but in the productivity statistics.' Solow was a leading expert on long-term growth and was not so much pooh-poohing computers as much as admitting economics was not very good at modeling these new technologies. Those who demand we fully know how any new service or product serves society prior to letting people develop it would retard growth, and giving a group power to make such decisions is an almost irreversible act. Faith that markets work, and that profits create wealth when they are produced in a competitive market, is not blind faith, but rather something that cannot be proven yet is highly reasonable to believe. Innovation won't come from any single individual's creativity or Artificial Intelligence, it will only come from zealous advocates and adversaries driven by all the virtues and vices common to men, and only decided by consumers who prefer their products to whatever else they might wish to buy. To presume a state can do this efficiently and will not instead become a self-interested hypocrite monopolist more powerful than any firm or private industry, ignores history, human nature, politics, and economics. It is important to understand that property rights are not grounded on logic, but no right is. The liberal ideas that gave rise to the Enlightenment are generally thought (eg, Steven Pinker) to be a break from a religious thinking. Yet the key liberal idea, individual rights, especially property rights, are an axiom with little justification outside Christian theology. As Feynman noted with regards to scientific laws, the process of finding new ones is not deriving them via logic, but rather, guessing, and then looking at the consequences. History has shown that individual property rights are good. Friedrich Hayek noted that a universal morality is beyond human knowledge, in that prior to markets actually existing--say, while we were hunter-gatherers--one would never have predicted free markets are better than socialism. Individual property rights are one of those moral principles that were discovered outside of pure reason. Historically the King supposedly represented the people, and what he wants necessarily is what his people need. It's the original conflation of the state and society. The idea that a regular individual can seek his own self-interest and simultaneously be optimally working for society seems absurd, in that clearly there are many evil people who have no interest in bettering society. The idea that the state should ultimately own everything is an ancient idea, and private property highly non-intuitive idea, why it took so long to develop. Roman law recognized private property belonging to individuals, but with a large caveat. For example, Cicero (106-43 BCE) wrote that "I do not mean to find fault with the accumulation of property, provided it hurts nobody, but unjust acquisition of it is always to be avoided." 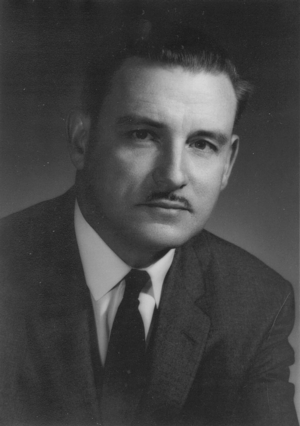 With this little exception many rulers could capriciously expropriate, in the same way there is a right to free speech in Cuba as long as it is "in keeping with the objectives of socialist society." Roman emperors viewed private associations like guilds as having the right to property, but these had to be founded with state authority and were closely regulated. Franciscan friar Duns Scotus (1266-1308) argued that morality needs freedom because without freedom, a person cannot do anything praiseworthy; without freedom actions do not represent the will, so are morally neutral. Fellow friar William of Ockham’s (1285-1347) writings on natural law are significant for the ideas of both individual rights and consent to government. Defending his Franciscan order against papal criticisms of their teachings on spiritual poverty, he distinguished among the various meanings of the Latin word jus (law, right) and dominium (rule, property) to defend an individual right to property. Ockham's emphasis on faith and freedom countered Thomas Aquinas's rationalist account of natural law. Rights, liberty, were paramount, and these put limits on the power of rulers. These ideas define the central concepts of liberal constitutional theory: individual rights, freedom, equality, limited government, popular sovereignty, consent to law and government, and the right of the people to resist tyrannical rulers. Hugo Grotius (1583-1645) was a Dutch jurist and argued that nature was not an entity in itself, but God's creation. 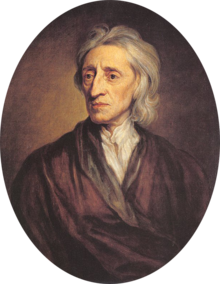 Samuel Pufendorf (1632-1694) relied on Grotius to argue that the state is nothing more than the sum of the individual wills that are associated within it, and hence the state needs to submit to a discipline essential for human safety. In this view, the state is a subordinate claimant on the individual, behind the individual's prerogative, who then has the free will to sin or not. When the US Framers of the Constitution refer to individual property rights they almost always spoke in overtly religious terms. For example, John Adams wrote "If 'Thou shalt not covet,' and 'Thou shalt not steal,' were not commandments of heaven, they must be made inviolable precepts in every society before it can be civilized or made free." This makes sense because at some level a right like cannot be proven, and so like religion takes a bit of faith. Rights are like duties, in that they constrain other objectives irrespective of their utilitarian benefits: it is presumed they serve some transcendent or long-term benefit, one that cannot be proven but is rather inferred based on an ideology about the way the universe works. Property rights were so important to the Framers that all men at the Constitutional Convention placed their protection above freedom of religion, press, and speech (see Forrest McDonald). In short, the Framers placed property rights higher than all those things we now most commonly associated with 'rights.' Traditional property is a social institution, and society maintains the institution only so long as people think private property rights serve the social interest better than alternatives. A right is something that laws should respect irrespective of its utilitarian justification. Time and again people have argued that certain property should be seized from individuals because it can more effectively be used elsewhere, and for specific cases, this will be true (eg, see Posner and Weyl's Radical Markets). Yet this leads to a slippery slope, in that any agency or mechanism with the power to make this assessment is liable to expand its powers, and the result will be a crypto-plutocracy portraying itself as representatives of the people (see Venezuela), or crony capitalism as in highly regulated states like Italy and India. Property rights originated from Christian theology, and have proven themselves empirically over the past couple hundred years. As Feynman noted, good laws start with a guess, and then we see if it works by experiment or experience.